Home > Learning Center > Home Improvement > Why is My Sink Gurgling? In this age of smart home technology, it can be advantageous to have things in your home talk to you. The oven beeps when it reaches the proper temperature, the refrigerator lets you know if the door isn't shut properly, and your voice-controlled digital assistant is always ready to record the latest additions to your shopping list. All of this communication is helpful in your day-to-day life, but when your sink starts gurgling at you, that's one form of communication you could do without. The gurgling noise coming from your sink is actually caused by air escaping from the drain. It's important to note: this air should NOT be there in the first place. The air causing that noise is located inside your pipes where it is applying pressure — via push or pull — on the water in your drain's P-trap. 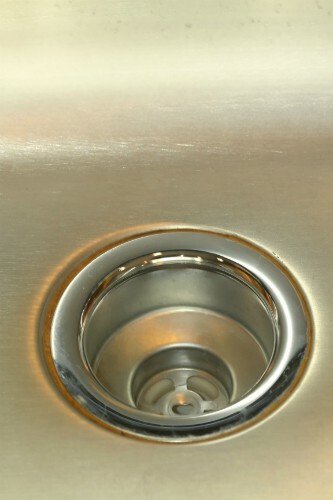 When the exit is not completely clear for air passage, the obstruction and subsequent air pressure it creates can cause suction in the drain. It pulls on the water in the P-trap, making the air audible, and as water appears in the drain, it applies additional pressure as it navigates the obstruction. There can be many reasons for the obstruction, but in kitchen drains, it's often the result of materials like grease or hair – stuff that should have been disposed of in another manner. Once these materials enter your drain, they get caught in the piping and form a clog. A gurgling sink may seem like a minor annoyance, but if the problem is not rectified, it can grow into a larger plumbing concern. Since the gurgle is caused by air seeping through an existing blockage, there is the potential for other debris to get trapped in this blockage as well. And as further debris is collected, the blockage will grow in size until the pipe is completely jammed, leaving you with a larger — and potentially more expensive — plumbing problem to repair, and one you likely will not be able to tackle yourself. The easiest, most cost-effective way to handle a clogged drain is to purchase a chemical solution designed to remove buildup from your drains. This is usually a simple fix, but be sure to read the directions thoroughly. These chemicals can be very toxic — which is why they are so effective at breaking down the material in the drain – which means they are harmful if they come in contact with your skin or eyes. Be sure to keep them away from children and pets as well! If your gurgling drain isn't fixed with a chemical solution, you will need a more manual alternative to physically unclog the blocked area. A drain auger is a flexible, long, coiled wire made of metal that allows you to reach deep into your sink's drain and dislodge the debris. You should apply sufficient pressure to break up the jam, but not so much that you damage your plumbing. If these solutions don't remove the clog, then it's time to call an experienced professional plumber like the folks at Benjamin Franklin Plumbing. This might be a more costly endeavor, but since the clog will only get bigger the longer you ignore it, you should address the problem immediately rather than letting it get worse.